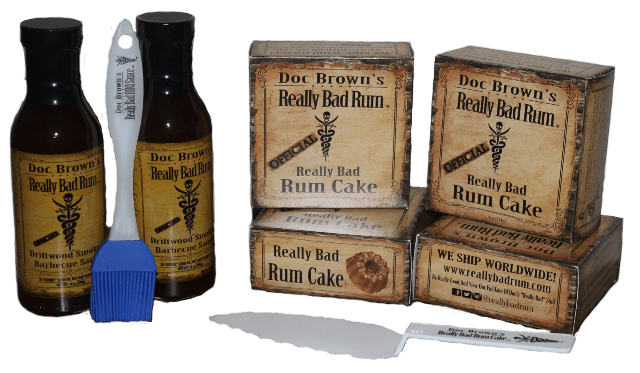 Take your taste buds on an unforgettable journey through the Golden Age of Piracy with the legendary Doc Brown! 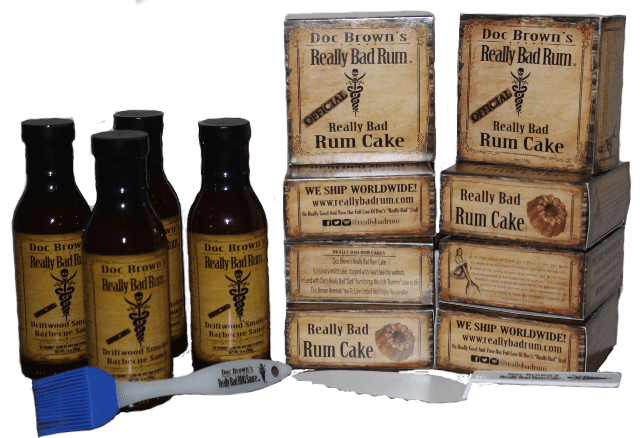 An unsurpassed, whimsical healer of the high seas, Doc’s ability to concoct a curative potion was rivaled only by his ability to create a feast out of the finest grub of land and sea. As he roasted a game fish or wild boar over a driftwood bonfire, he’d baste the meats with his “rummy” sauce mixture. 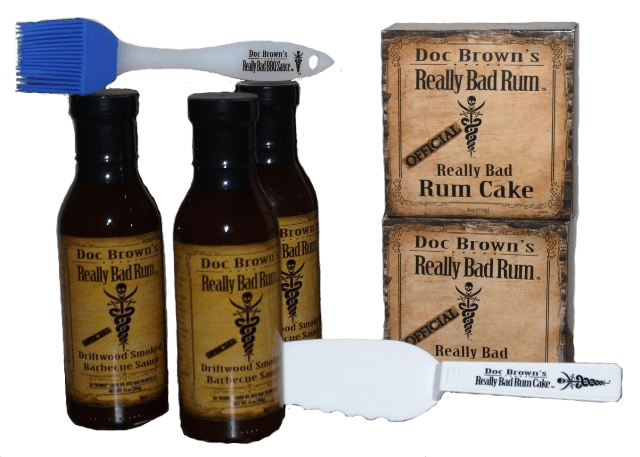 Infused with Doc Brown Really Bad Rum and a drop of Doc’s secret ingredient, this handcrafted barbecue sauce adds a sweet and smoky taste of the good life as experienced by Doc and his mates long ago.